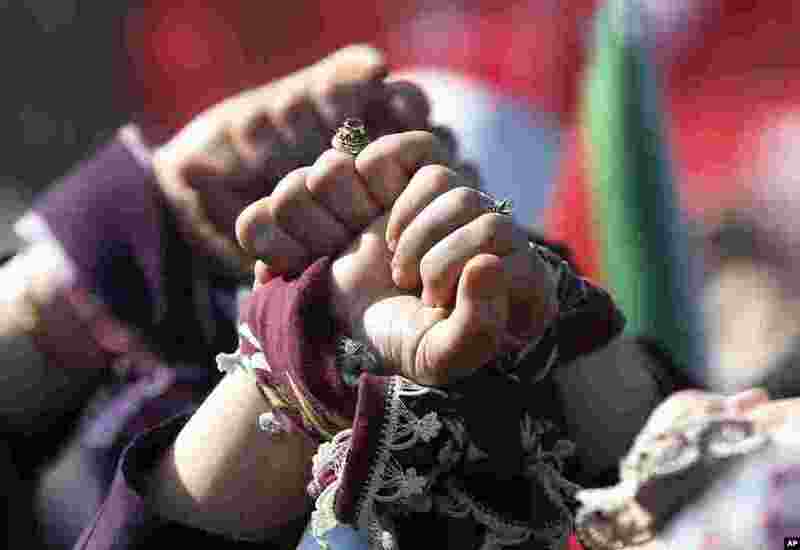 Women around the world marked International Women's Day with celebrations, protests, and demands for equality and an end to gender violence. 1 A group of women watch a street play on domestic violence before the start of a march to mark International Women's Day in New Delhi, India, March 8, 2019. 2 Women protest in Istanbul, Turkey, March 8, 2019, against the imprisonment of women and children in Syrian penitentiaries. 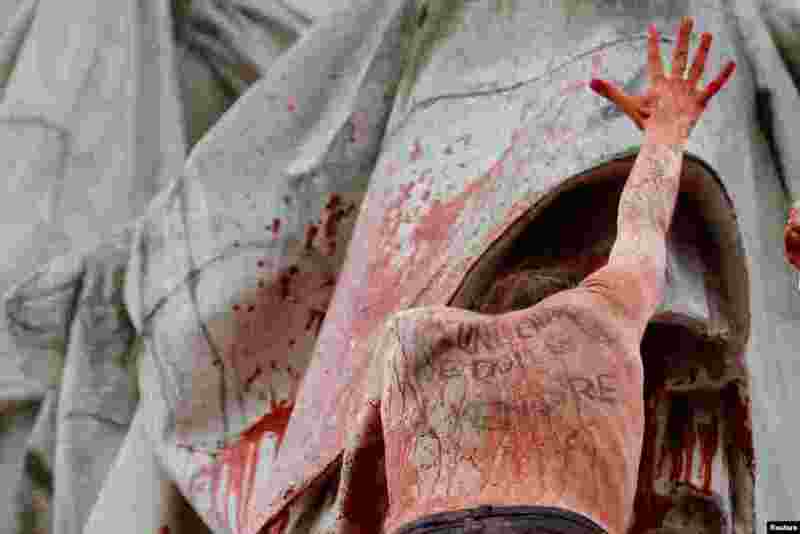 3 A woman with the message written on her back, "No flesh should be for sale" stands on the statue at the Place de la Republique during a protest to highlight the pay disparity between women and men, in Paris, France, March 8, 2019. 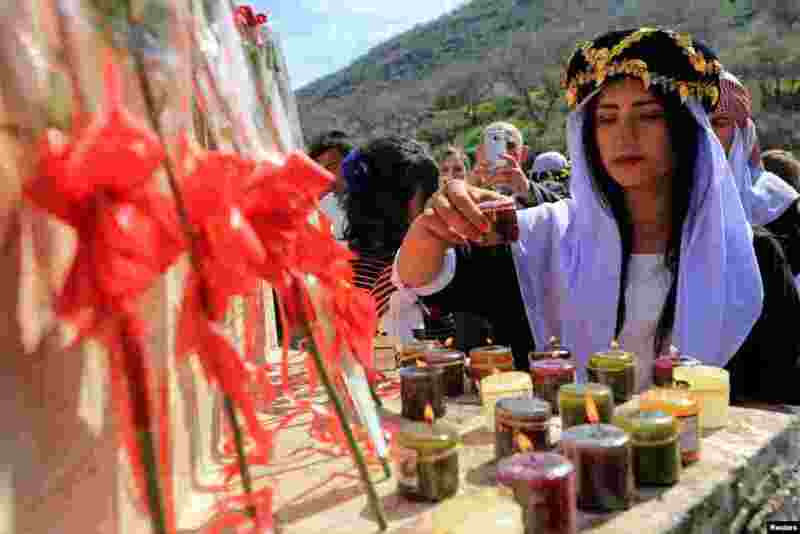 4 A Yazidi woman lights candles during a ceremony at Lilash Temple to commemorate the death of women who were killed by Islamic State militants, during the International Women Day, in Shikhan north of Iraq, March 8, 2019.